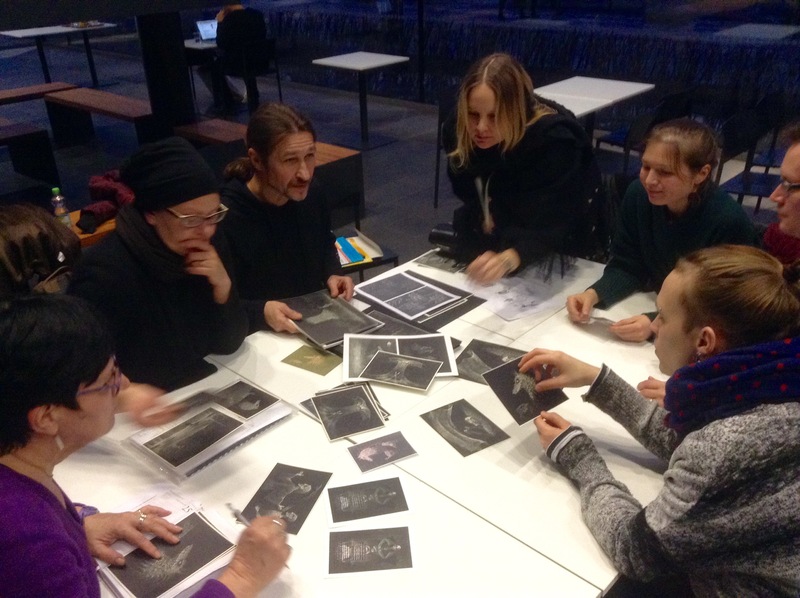 Croak Team discussing the stage design at the Helsinki Musiikkitalo Café. Around the table from left to right: producer Heli Latvala from Pori Opera, director Anna Ivanova-Brashinskaya, puppet and stage designer Viktor Antonov, composer Maria Kallionpää, assistant director Roosa Halme, composer Markku Klami and light designer Yana Boitcova. Photo: TPL 2017.